David Wagner remains confident Steve Mounie will rediscover scoring form despite his misses costing Huddersfield Town in a 1-1 draw with West Ham. Benin striker Mounie was twice denied by Lukasz Fabianski at close range in the first half - once in a one-on-one - as his barren start to the season continued. The 24-year-old is yet to add to the seven Premier League goals he scored last term and the Terriers paid the price for his profligacy through Felipe Anderson's 74th-minute equaliser. Alex Pritchard had earlier become the first Terriers player to score at home since April, but problems in attack persist for the division's lowest scorers. 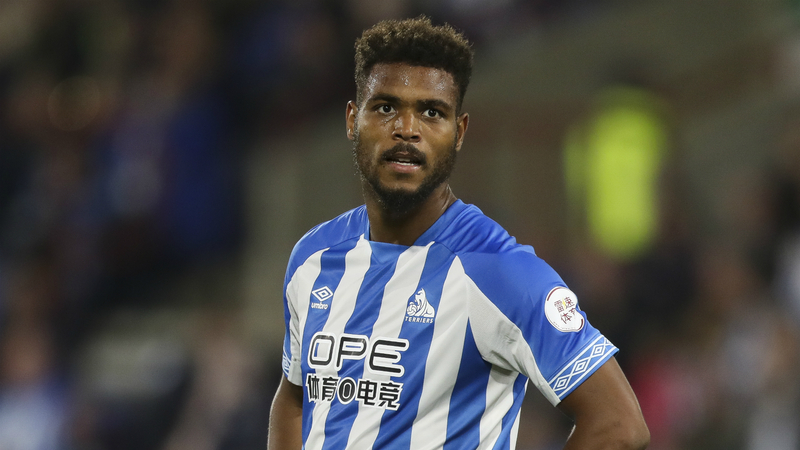 "Steve Mounie was, in many ways, very good today. He is a real handful," Wagner told reporters. "He won nearly everything in the air and was very unlucky with the header. He drew two saves from Fabianski. "It is true that his goals haven't come, but I have full belief in him." Wagner confirmed left-back Chris Lowe was taken to hospital with a "shoulder ligament injury" after an awkward landing led to him being taken from the pitch on a stretcher. The concerning incident occurred late in a first half notable for West Ham's sloppiness in possession, the visitors culpable for a defensive turnover that led to Pritchard's sixth-minute opener. An improved showing after the restart and eventual third straight Premier League match without defeat left Manuel Pellegrini with a measure of satisfaction. "I think that we played very bad in the first 45 minutes," the Hammers boss said. "Maybe we started the game well, we created a couple of chances but when Huddersfield scored their goal, we started doing everything wrong. "In the second half we improved, created three or four chances and drew the game. If you look at the whole 95 minutes, I think that the draw was the result both teams deserved."